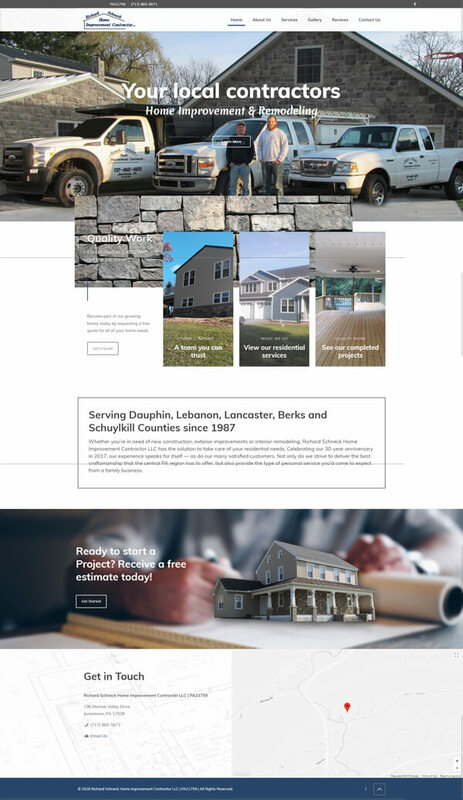 Richard Schneck Home Improvement Contractor LLC provides a full suite of comprehensive building solutions, servicing Lebanon, Schuylkill, Dauphin, Berks and Lancaster counties. The company needed a way to showcase its professionalism, honesty and attention to detail to a new clientele. With a completely redesigned site, potential customers can now view services, read reviews and request a free quote — all from any device.